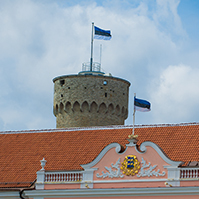 At Wednesday’s sitting, the Riigikogu passed with 72 votes in favour the Resolution of the Riigikogu “Approval of “Fundamentals of the Cultural Policy until 2020”” (553 OE). The cultural policy of the state is guided by the constitutional objective to guarantee the preservation of the Estonian nation, language and culture through the ages. The fundamentals of the cultural policy until 2020 provide for the aim of the cultural policy of the state: to build a society which values creativity, to maintain and promote the Estonian national identity, to study, store and carry on cultural memory, and to create favourable conditions for the development of viable, open and diverse cultural space and participation in culture. Mart Meri, Liisa-Ly Pakosta, Lauri Vahtre and Rein Lang took the floor during the debate. The Riigikogu approved with 69 votes in favour the Act on Amendments to the Penal Code and the Code of Criminal Procedure (468 SE), initiated by the Government. The Act amends the provisions concerning imposition of extended confiscation in the Penal Code, extends the possibility of imposing addiction treatment instead of imprisonment and specifies the regulation concerning application of post-punishment supervision of conduct. The amendment of the Code of Criminal Procedure will enable to use measures for securing an action in order to secure confiscation, substitution of confiscation, a civil action or fine to the extent of assets. The Riigikogu approved with 76 votes in favour the Act on Amendments to the Obligation to Leave and Prohibition on Entry Act and the Citizen of the European Union Act (444 SE), initiated by the Government, which amends the legal provisions relating to the return, removal and detention of third-country nationals staying in Estonia illegally and the application of a prohibition on entry. 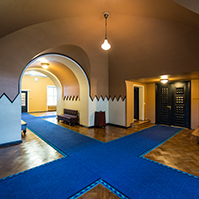 The Apartment Ownership and Apartment Associations Bill (462 SE), initiated by the Government. According to the Bill, the apartment ownership law is codified, whereby two current Acts, the Apartment Ownership Act and the Apartment Associations Act, are replaced with a single Act which will regulate all legal relationships connected with apartment ownership. According to the Bill, all apartment ownerships will be managed in the form of an independent legal person, an apartment association, which will be created together with the establishment of apartment ownerships upon the entry into force of the Act. The state will establish apartment associations for the existing apartment ownerships which are managed in the form of a community of apartment owners until the entry into force of the new Act. Yana Toom and Margus Hanson took the floor during the debate. 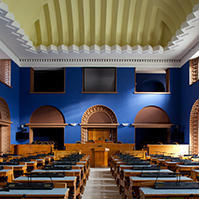 The motion of the Estonian Centre Party Faction to suspend the second reading of the Bill was not supported. 31 members of the Riigikogu were in favour of the motion and 36 were against. The Bill on Amendments to and Implementation of the Maintenance of Law and Order Act (424 SE), initiated by the Government, the legislative proceeding of which was suspended on 18 December last year. The purpose of the Bill is to make necessary amendments which would allow for the current Act to be applied also to inspectional state supervision. The Bill harmonises and amends the current special Acts relating to law enforcement which regulate state supervision. The procedure for the issue of an activity licence or a building, environmental or other permit and the procedure for the grant of monetary or non-monetary aid have not been included in the scope of application of the Act. The Bill is intended to ensure the state supervision proceedings which function on uniform bases, are more effective, have more legal clarity and take more account of the fundamental rights of persons. After the entry into force of the Act, all bodies responsible for maintenance of law and order will exercise state supervision on uniform bases. Marika Tuus-Laul and Peeter Võsa took the floor during the debate. The State Budget Bill (513 SE), initiated by the Government, the legislative proceeding of which was suspended on the motion of the Finance Committee on 15 January. The Bill provides for the creation of the legal bases and establishment of the basic requirements to ensure the long-term economic and financial sustainability of Estonia. 67 motions to amend the Bill had been submitted after the suspension of the second reading. The amendments provide that the fundamentals of a policy are a type of strategic development document, and organise the strategic planning system. The Bill also provides that constitutional institutions are not required to draft strategic development documents, and a budget council will be established as a separate advisory body at Eesti Pank. 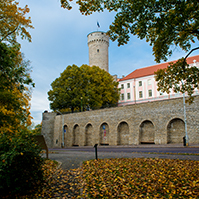 Several amendments are made in Acts associated with the State Budget Act, including the Financial Management of Local Government Act as well as the Estonian Public Broadcasting Act. Eiki Nestor and Aivar Sõerd took the floor during the debate. The motion of the Social Democratic Party Faction to suspend the second reading of the Bill was not supported. 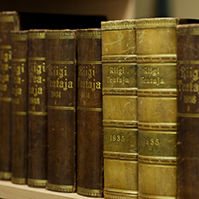 18 members of the Riigikogu were in favour of the motion and 34 were against. The Bill on Amendments to the Railways Act and Amendments to Other Associated Acts (482 SE), initiated by the Government. The Bill brings the wording of the Railways Act into conformity with the relevant European Union directives. The terminology of the Railways Act is specified. Instead of the safety certificate of the safety management system and the operational safety certificate, a safety authorisation will be granted to railway infrastructure managers, and a safety certificate will be granted to railway undertakings, and operational safety certificates will be granted in the case of a non-public railway. In replacement of “railway collisions”, “railway incidents” and “accidents”, the terminology of directives is implemented: accidents, serious accidents and incidents. At the same time, the duties and rights of the Technical Surveillance Authority and the Safety Investigation Bureau within the framework of supervision proceedings are specified. The Bill also discusses the aspects related to the use of the rolling stock vehicle numbering systems in the EU and in the CIS countries. The Bill also amends the provisions of the Act in connection with the development of the Rail Baltic project. A smaller width of the railway protection zone is established. The Draft Resolution of the Riigikogu “The Use of the Defence Forces in the Performance of the International Duties of the Estonian State in the European Union Peacekeeping Mission in the Central African Republic” (583 OE), initiated by the Government. The Draft Resolution enables Estonia to participate in the European Union peacekeeping mission EUFOR RCA (European Union military operation in the Central African Republic) in the Central African Republic with up to 55 active servicemen as of the entry into force of the Resolution until 31 August 2014, and with up to 5 active servicemen until the end of the year. Lauri Vahtre and Kadri Simson took the floor during the debate. The motion of the Estonian Social Democratic Party Faction to reject the Bill was not supported. 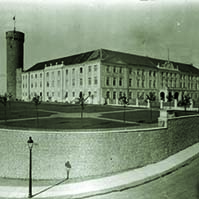 52 members of the Riigikogu were against and 25 were in favour. The Bill on Amendments to the Electricity Market Act (557 SE), initiated by the Government. The Bill harmonises in more detail the EU directive on the internal market in electricity. A transmission system operator will be granted the possibility to form a joint undertaking with a transmission system operator certified in another Member State. This will extend the freedom of action of the transmission system operator and will enable to establish a joint undertaking also with a certified independent system operator or a certified independent transmission system operator who are part of the same concern as the undertaking engaged in generation or sale. It is provided that an undertaking engaged in generation and sale may not have a dominant influence over a transmission system operator active in another Member State if the requirement of ownership unbundling of the transmission system operator from the undertaking engaged in generation and sale is applied in that other State. Thereby it is ensured that the undertaking engaged in generation and sale is firmly separated from the transmission system operator, and a conflict of interests between transmission activities and generation and sale is avoided. Also, a wholesale energy market database will be established, the chief processor of which is a national regulatory authority, according to the relevant EU Regulation. In Estonia, the Competition Authority will be the authority. The Bill on Amendments to the Natural Gas Act (556 SE), initiated by the Government. The Bill transposes in full extent the relevant EU directive. The Bill provides the bases for the activities of the LNG terminal operator and storage facility operator and for regulating the wholesale market for gas. The bases include development of the conditions and coordination of the pricing principles with the Competition Authority. The Act is also amended by adding the principles of the management of the distribution network undertaking and storage system operator, and the functions of the Competition Authority with regard to market monitoring and consumer protection. It is provided that a gas undertaking engaged in production and sale may not have a dominant influence over a transmission network undertaking active in another Member State if the requirement of ownership unbundling of the transmission network undertaking from the gas undertaking engaged in production and sale is applied in that other State. Thereby it is ensured that the gas undertaking engaged in production and sale is firmly separated from the transmission network undertaking, and a conflict of interests between transmission activities and production and sale is avoided. Also, a wholesale energy market database will be established, the chief processor of which is a national regulatory authority, according to the relevant EU Regulation. In Estonia, the Competition Authority will be the authority. The Bill on Amendments to the State Family Benefits Act (542 SE), initiated by the Estonian Centre Party Faction, which concerned the increasing of child benefit, was dropped from the legislative proceeding. Mailis Reps and Heljo Pikhof took the floor during the debate. The result of voting: 45 in favour, 34 against. The sitting ended at 6.58 p.m.